Conscious investors are part of a growing movement who believe they can do better things with their money when they deeply connect with their money and when they allow themselves to see the big picture: namely, the wider systemic impact that their investment decisions entail. Humanity's current social and environmental challenges require us to dramatically rethink global growth for long-term prosperity and to transform capital markets into a force for good. This will need a fundamental shift towards a regenerative economy as well as a regenerative form of investing. Consciously reflecting and consciously acting upon one's own personal- and financial choices will definitely be part of the solution. Conscious investors are profoundly connected to their mission in life, to humanity and to all the planet. To them investing is an extension of their life's calling and they are aware that everything is not only connected, but also co-evolves in the web-of-life. 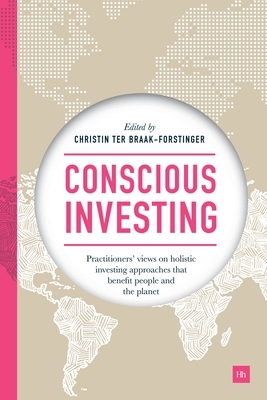 Conscious investing enlarges the picture beyond the intention to create a positive social and environmental impact, next to achieving a financial return, and brings a systemic view to the investor. It is both a state of awareness as well as a holistic form of impactful investing. This book aims to share approaches to conscious investing that are valid for everyone: a normal person with a family to take care of, as well as dedicated impact investing enthusiasts. Throughout, you will find personal investment stories that have created tangible real-life outcomes and positive impact in multiple ways. Conscious investors represent a new, enlightened group of investors who are not only value-driven but who proactively point their money towards the future they want for themselves, their children and their planet.